Ever-increasing global demand for efficient and durable information exchange has created a race to develop next-generation technology platforms. Powered by an ability to design and fabricate circuits, detectors, and actuators at the nanometer scale, CNSI researchers are breaking new ground in the creation of fast, flexible, and scalable electronic devices toward applications ranging from bio/electro/chemical sensors and neuromorphic computing to high-speed multimodal imaging and lens-free microscopy platforms for telemedicine. The concept of flexible electronic devices has long been the domain of science fiction. 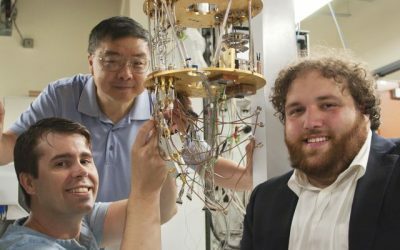 Researchers at CNSI are making that vision a reality by developing new materials that enable vastly more powerful and sensitive medical devices, display technologies, computer-interfaces, solar cells and wearable devices. 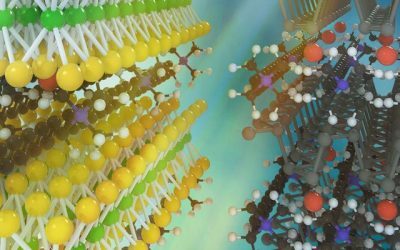 Efforts like those led by Xiangfeng Duan, whose team leverages the increased efficiency and capability of layered semiconductors to fabricate field effect transistors made from two-dimensional materials that are just a few atoms thick, have demonstrated performance improvements of nearly 40-50 times over conventional approaches. Increasing the number of circuit elements, especially transistors, in electronic devices leads to the dramatic improvements in performance and efficiency that power our digital world. Teams of researchers at CNSI, like the one led by Yang Yang, aim to develop high performance electronic materials and devices. 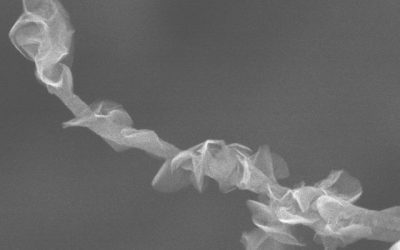 Yang’s group develops high-performance, solution-processed oxide thin film transistors through material and device engineering. Approaches like these make the promise of printable high-speed electronic devices such as displays, sensors and logic circuits a future reality. Enzyme-linked immunosorbant assay, or ELISA, is a diagnostic tool that identifies antigens in blood samples such as HIV, West Nile virus, and hepatitis B. A team led by Dr. Aydogan Ozcan has developed a new mobile phone-based device that can read ELISA plates in the field with the same level of accuracy as the large machines normally found in clinical laboratories. 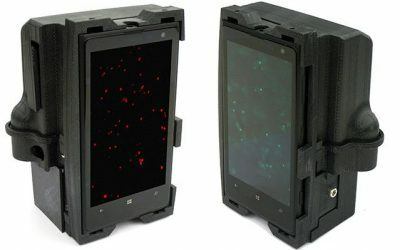 The body of the device is created with a 3D printer and attaches to a smartphone, which transmits the ELISA images to UCLA servers through a custom-designed app. Images are analyzed and the diagnostic results are sent back to the phone within approximately one minute. As computational tasks become increasingly difficult in a world of big data, systems to address modern challenges in collection, processing, and analysis of large datasets are increasingly necessary. Researchers at CNSI are attacking the challenges of next-generation computing by combining concepts of neuroscience and machine learning with nanoscale materials. An exemplar of this approach are James Gimzewski and Adam Stieg, who are developing complex nanoarchitectures that have structural similarity to neocortex and exhibit properties which make them an ideal platform to addresses the difficulty of mimicking biological neural networks in artificial computing environments.